Chia seeds benefits became overshadowed by new foods introduced after the conquest of Latin America. However, it has come back into the forefront of nutrition related news as the superfood of 2013. This little seed comes in either white or dark brown and black, and can be eaten either whole or milled to extract their healthy benefits. Chia seeds are a great source of fiber! They contain nearly 11 grams of fiber per ounce, which is 42% of what is recommended daily by the American Dietetic Association. Packed With Omega-3s. This great plant source of essential fatty acids has 16 times more Omega-3 than an equivalent 1 ounce of salmon. Promoting Stronger Bones. 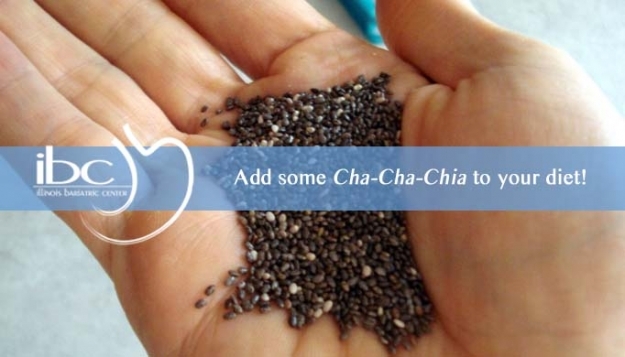 A serving of chia (1oz) has 18% of the recommended daily intake for calcium. This is pretty amazing considering that’s almost 4 times more than what is in 1 fluid ounce of skimmed milk. Harnessing the Power of Protein. These super seeds have 4.7 grams of protein per serving. Its high protein content can help prolong satiety and speed up the healing process post-surgery. Chia seeds’ impressive nutrient report also qualifies it as a good source of iron, magnesium, and zinc. Emerging research has suggested including the seeds into a healthy diet can help lower cholesterol, triglycerides, and blood pressure. They even have an amazing ability to absorb liquid, which can help curb hunger.